Home Mainstream Lego Harry Potter Coming Next? 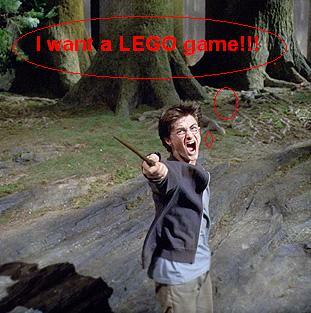 Lego Harry Potter Coming Next? Following successful releases of Lego video games based on successful franchises (such as Star Wars, Indiana Jones and Batman), it seems natural to consider that other Lego games will follow, right? Well, according to some reports, the Harry Potter series could be the next to get some cool Lego treatment and head to our consoles and PCs. The rumor regarding an upcoming Lego Harry Potter comes from the folks over at CVG – the website just announced that they “have learned” recently about the existence of such a game. Except for the title there are absolutely no details regarding the game, but it will apparently be a classic action-adventure, just like the previously released Lego Indiana Jones. The interesting bit comes from the fact that apparently Warner Bros will be the publisher for the upcoming Lego Harry Potter, even though Electronic Arts holds the rights for console and PC tie-ins. As I said, there is no official word on the matter yet and the rumors should be taken with a pint of salt right now. However, having in mind that a new Harry Potter game will hit the big screens next year, if a Lego Harry Potter is in development, we’ll surely hear about it sooner rather than later.